Burbank, CA (June 11, 2012) – Walt Disney Studios announced today that they are launching a touring exhibition featuring the art of Tim Burton’s “Frankenweenie,” the acclaimed director’s stop-motion, animated feature film releasing on October 5, 2012. 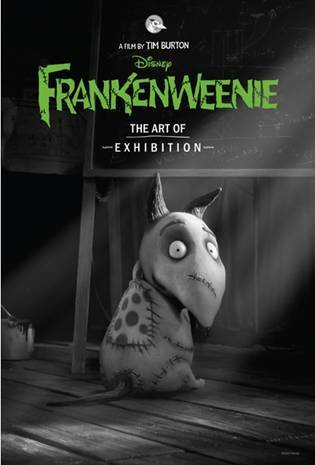 The Art of Frankenweenie Exhibition will premiere in Barcelona, Spain, at CineEurope, June 18-21, and in the U.S. at Comic-Con 2012 in San Diego, California, July 11-15. When the tour is complete it will have visited seven countries, including Spain, France, England, Japan, Mexico, Canada and the U.S.A.